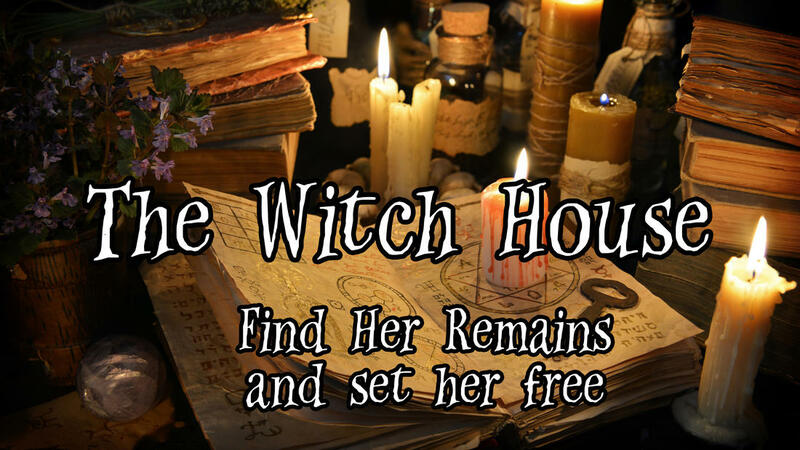 The Witch House is described as a "tense supernatural thriller" filled with intriguing puzzles, surprises and a compelling narrative. As fans of the supernatural, the stimulation of what this room had to offer was irresistible! Heavy rain poured from the dark grey skies and as storm clouds loomed as far as the eye could see our little mystery machine sped on. 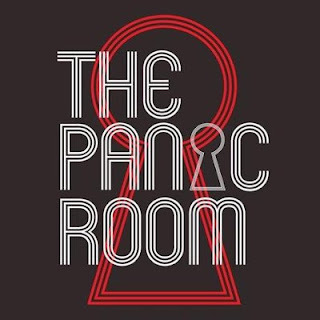 We were on route to what would be our 4th experience with the highly recommended Panic Room and thanks to the weather we were already in the zone – a fitting journey for the task ahead. Upon arrival we were met by our games master who was an engaging, energetic lad. He took us through the usual rules and regulations and whilst we fully appreciated his high spirits, perhaps this introduction could have been channelled more into creating an atmosphere for the room we were about to enter. 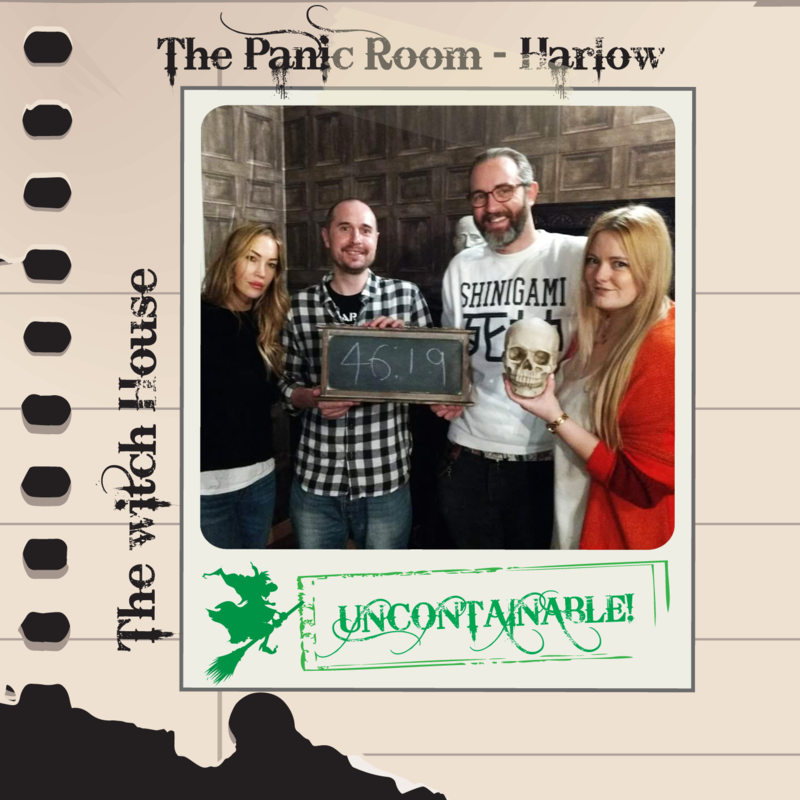 After all we were about to confront a room that was home to dark arts and haunting! The mystery began with a student who rented a room inside an old house with a long and dark history. A Witch from the town's legend haunts his dreams. During the witch trials of 1692 she disappeared never to be seen again. It's 11pm and your team has been sent to help the poor student uncover the mystery that lies within the room. What happened to the witch? Can we break the curse before the clock strikes midnight? The set design and cleverly constructed props delivered a convincing ambiance for the room. The lighting was particularly effective: dark enough to credibly transport you to an eery old house yet lit just enough to read prompts and tackle fiddley locks without much strain - something that’s a frequent niggle in other darkened rooms we’ve played. There was plenty to investigate from the get-go, we all diverted to different corners of the room to pull apart the set returning together to share our finds. The puzzles were satisfyingly varied, however there were some word and number conundrums that could have been better executed and other clues that were tired, overused and in desperate need of replenishing for the sake of the players resolve. A big issue, which became disadvantageous to our game, was that during the hosts run through of the do’s and don’ts we were informed that items featuring a red dot sticker were not part of the gameplay. Whilst true for the red-dotted items we’d uncovered thus far, one particular marked item we’d overlooked was in fact rather integral to the game. We wasted a clue here and were rather frustrated at the easily avoidable contradiction. This particular puzzle - the premise of which was clever and original - was sadly tired and evidently in much need of maintenance. So much so that our host had to enter the room in order for it to work, spoiling the games previously accomplished immersivity. An unusual aspect was the ending, we did escape well within time…without escaping! Solving the final clue never lead to our break for freedom as such, but to a discovery which allowed us to leave The Witches House through an unlocked door. This lost element could be easily rectified having the final item offer a key to enable players to break-out the room themselves, thus strengthening the ending by actually escaping the escape room. 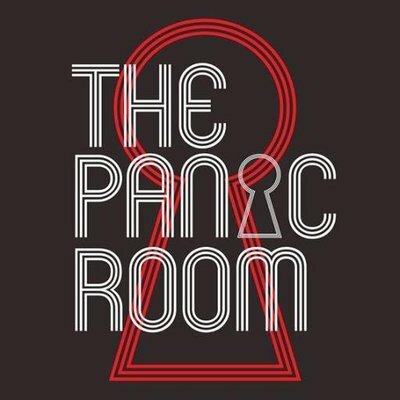 Having said all that, we really did enjoy the promise of this room’s potential but due to minor yet totally avoidable issues that were detrimental to our game running smoothly, it didn’t live up to the spellbinding escape we had initially hoped.